This sweet faced little beauty is one of a kind, and sure to steal your heart..
We are pleased to share "Flora" a Steiff 2013 Event Bear. At 9-inches tall she is sure to steal your heart with her sweet expressive face. She is made up of high-quality white silk plush with brown airbrushed throughout her body, and white felt paws. She is 5-way jointed with a loosely jointed head and is stuffed with synthetic filling. She has black safety eyes, and a black hand-stitched nose. 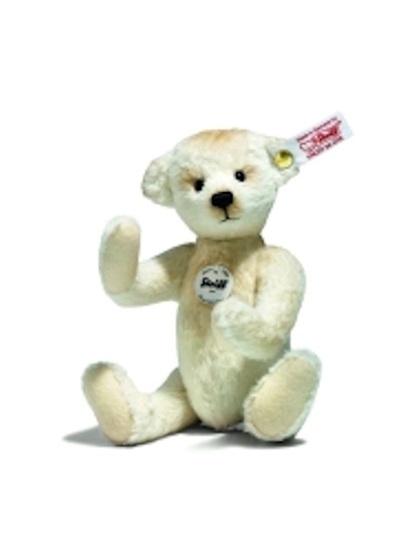 She is a 2013 Worldwide white tag limited edition bear.